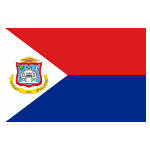 The island of Sint Maarten is administered by France (the major part) and the Netherlands. The first border on the island was set by the Treaty of Concorida in 1648, however, during the next two centuries the border was changed for 16 times. Sint Maarten was a good place for cultivation of cotton, tobacco and sugar cane, that led to the lack of working labor and the beginning of the era of slavery. France and the Netherlands imported a massive number of slaves to work on the plantations. Slaves were subjected to cruel treatment, that is why they often staged rebellions. Due to the overwhelming number of the slaves, the rebellions were impossible to ignore. France abolished slavery on its part of the island in 1848. The Dutch followed the suit 15 years later and abolishment took place on July 1, 1863. Abolishment of slavery is a very important event in the history of Sint Maarten. Celebration of Emancipation Day usually begins with a church service, followed by the ceremony of wreath laying to the monuments of the fighters for freedom.